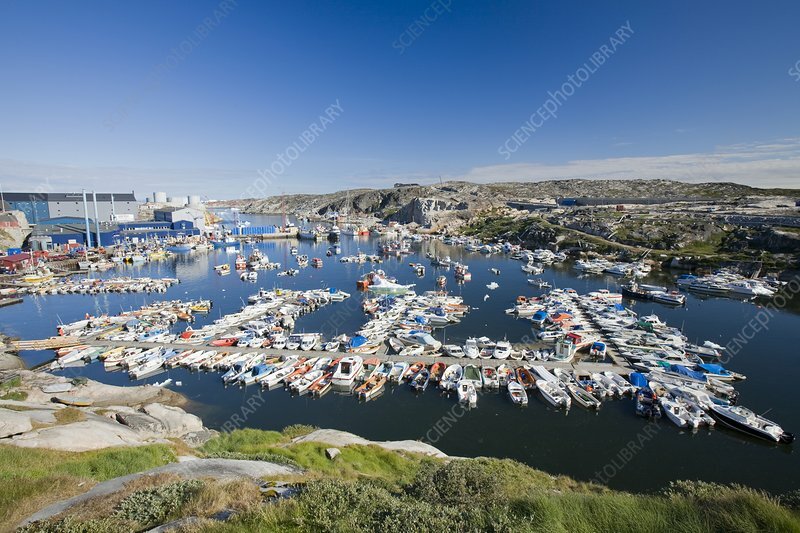 The harbour at Ilulissat on Greenland. Ilulissat is a UNESCO World Heritage Site because of the Jakobshavn Glacier or Sermeq Kujalleq which is the largest glacier outside Antarctica. The glacier drains 7% of the Greenland ice sheet and produces enough water from calving icebergs in one day to provide New York with water for 1 year. Climate change has meant the glacier has speeded up and is now one of the fastest glaciers in the world at up to 40 metres per day and is also receding rapidly.